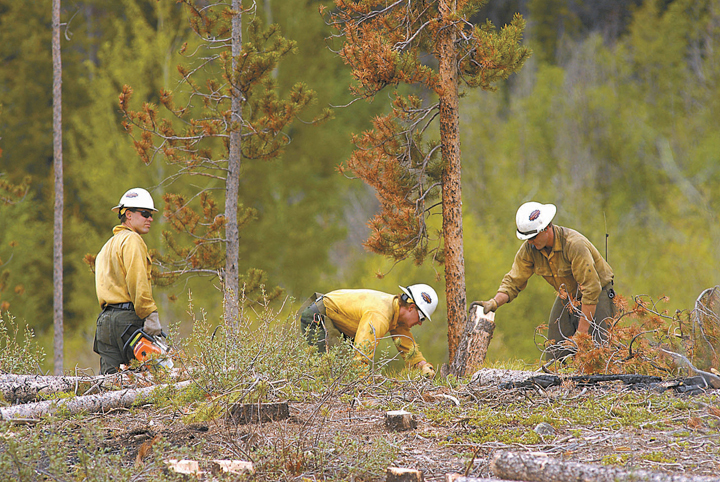 DENVER – A national team will help the U.S. Forest Service manage the attack against the pine beetle infestation that has swept through about 2.5 million acres of forests in northern Colorado and southern Wyoming. Rocky Mountain Regional Forester Rick Cables said Thursday the team will help coordinate efforts to address the safety concerns and wildfire threat posed by large swaths of beetle-killed trees. This will be the first time a national management team of federal officials will help with the bark-beetle outbreak, said Cal Wettstein, a Forest Service official who has headed the regional effort. He said the transition to the new approach will start in early December. “It speaks to the urgency and the emergency situation we find ourselves in,” said Wettstein, who will be the regional liaison to the national team. The National Incident Management Organization will coordinate activities in the heaviest-hit forests in the region: the Medicine Bow-Routt, Arapahoe and Roosevelt and White River. The White River National Forest surrounds Aspen and the Roaring Fork Valley. The Forest Service has proposed shifting funds from other regional forests to deal with the infestation. Some area campgrounds have been temporarily closed because of falling trees. Forest Service spokeswoman Mary Ann Chambers said the agency is concerned about trees toppling the 550 miles of power lines in the area and falling on people along trails and roads. Another fear is the potential of the stands of dead trees fueling wildfires. The beetles burrow into the trees and lay eggs, eventually killing the trees. The bugs have infested forests in some of the region’s most scenic areas, including Colorado mountain resorts and near Rocky Mountain National Park. While bark beetle infestations are considered part of natural cycles, experts say drought and warmer temperatures are worsening the current outbreak. The region hasn’t had prolonged freezing temperatures that would help kill the bugs, and drought has weakened the trees. Other Western states with beetle infestations are Idaho, Montana, Oregon and eastern Washington. More than 30 million acres have been affected in western Canada. Cables testified before a U.S. House panel in June that water supplies for 33 million people in the West could be endangered if millions of acres of beetle-devastated trees catch fire. The Colorado River headwaters are in some of the most ravaged areas. Chambers said the epidemic, which started in some spots more than a decade ago, has spread east to areas along Colorado’s Front Range. She said results of a new aerial survey of forests will be released in January.